Here comes another haul on Meet Mariee! It so hard not to get sucked in purchasing more than what you need! My main purpose was to only buy a new Beauty Blender since mine is about to shed into pieces. Instead, I checked out with other products thinking I need more products to try and have! I'm sure I'm not the only one with this problem. Color is not my thing when it comes to eyeshadow. I tend to stay around bronze, gold, and champagne. Now that it is 2015, I think I need to incorporate more color in my makeup. 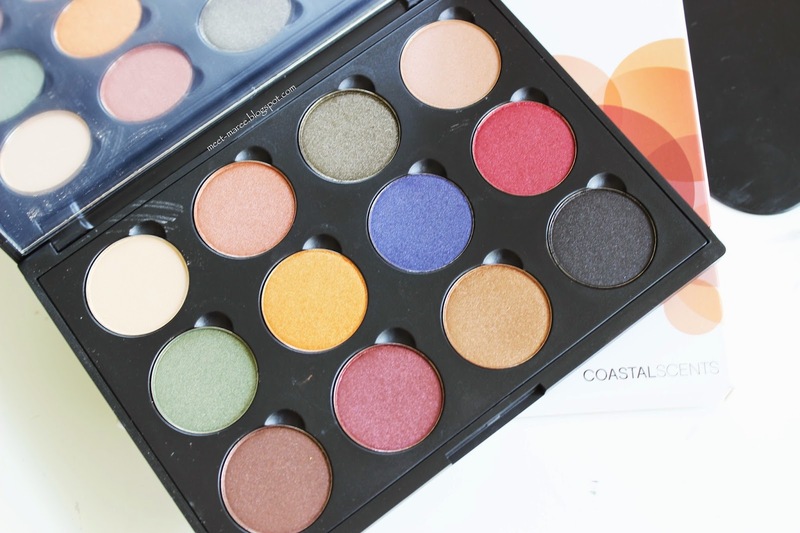 I fell in love with this eyeshadow palette from Coastal Scent called Fall Festival Palette (RRP:$20NZD). It has 12 eyeshadows which are interchangeable. The colors are quite bold to my liking but I feel like I could use them for a pop of color or even for out there smokey eye. All eyeshadows has got a pearl sheen to it except for a matte highlight shade which is always a good thing in a palette. I have been looking for a mixing palette (RRP:$8NZD) for quite sometime. I do find that sometimes mixing two foundation shades in the back of your hand can get messy. I'm glad that I don't have to do that anymore! I got it in black so it does not look gross overtime. Definitely putting this to use after I post this haul! 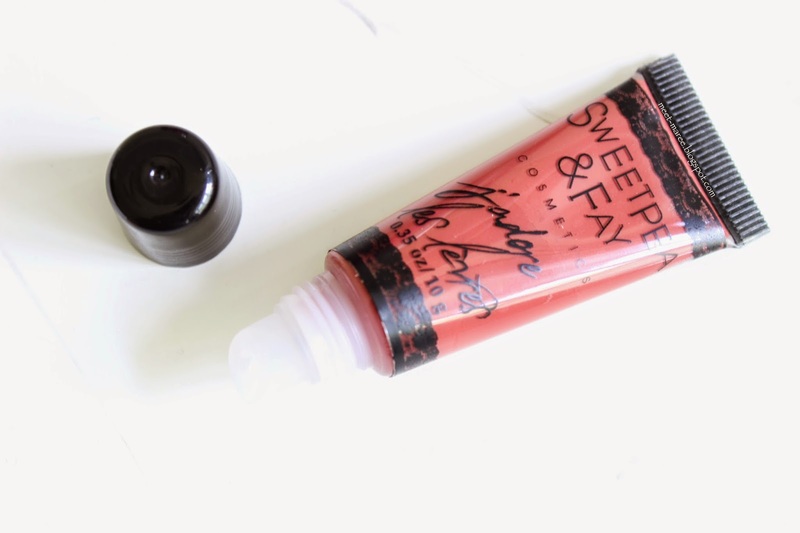 Another purchase is this liquid lipstick from SweetPea & Fay in the shade 'Nantes' (RRP:$13.50NZD). This shade is a red tone brown which is reminiscent of the pantone color of the year Marsala. It is a very interesting shade. It is very versatile and I feel like this would suit anyone. 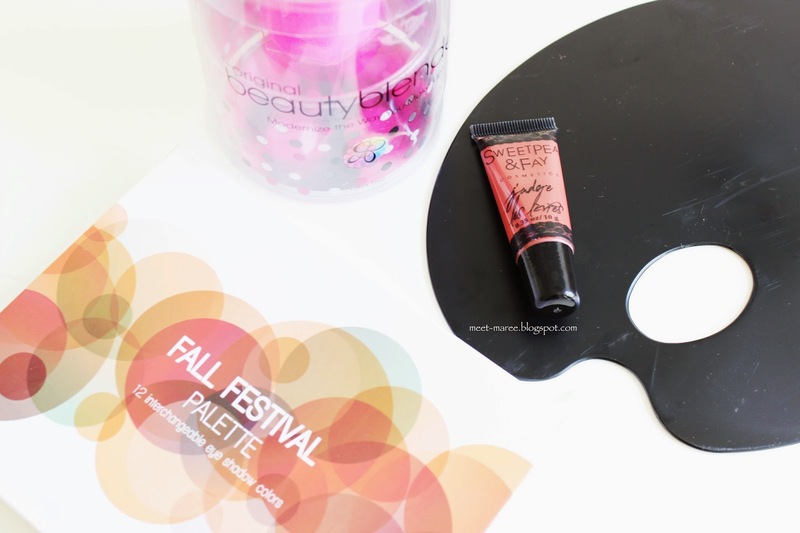 I'm excited to pair this with a neutral eye or even with a tad bit of smokey eye! 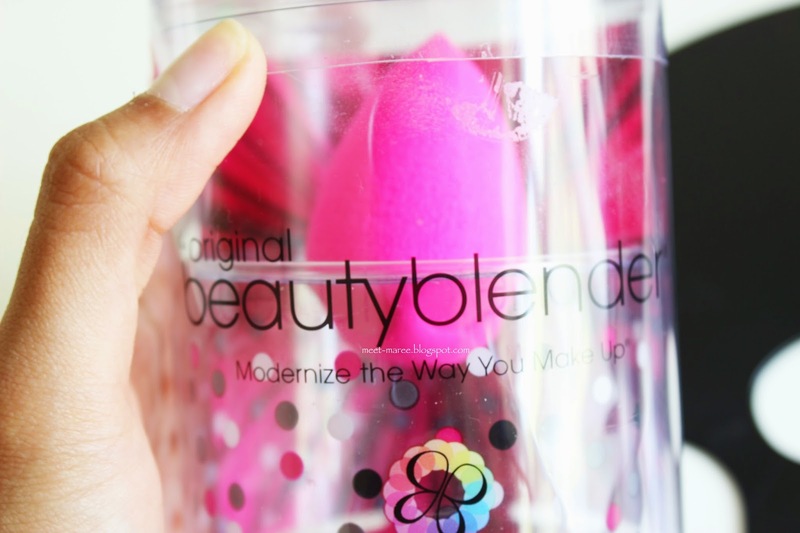 Finally, the reason of this haul- a brand new Beauty Blender (RRP:$33NZD). This little fella is definitely worth every penny. It does a great job on blending foundation, cream contour and highlight, even for applying powder! It makes everything so seamless and flawless that no matter how much you pile on, it does not look cake at all! All of these products are available at Gracie Lou Cosmetics. It is a New Zealand based online shop sells beauty products at a very affordable price. They also offer free shipping nationally when you order more than $75 NZD!